The mouse-tracking paradigm allows researchers to better understand how cognitive processes unfold over time by recording participants’ responses using a computer mouse. In this talk, I will present a diverse set of cognitive experiments in which I used the mouse-tracking paradigm for data collection. The goal is to provide attendees with different ideas of the types of data you can get using mouse tracking. I will discuss results from a number of different tasks including a lexical decision, a Stroop, and a rating task. I will cover the implications of methodological decisions like presenting two versus four response alternatives, or presenting a dichotomous (Word/Nonword) versus a continuous (Foreign—-Native) response option. In addition, I will briefly discuss how to interpret and analyze mouse-tracking data, including common pitfalls and best practices. I will cover the strengths and weaknesses of the method so attendees can get a sense of the types of research questions that can be answered using the mouse-tracking paradigm. In my opinion, triangulating across paradigms (eye tracking, mouse tracking, ERPs) is the gold standard to provide a full picture of the cognitive processes at play. 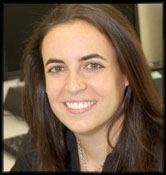 Dr Sara Incera is an Assistant Professor in the Department of Psychology at Eastern Kentucky University. Her research interests include cognitive psychology, bilingualism, foreign accents, second language acquisition, and language development across the lifespan​. Coffee will be served before the talk.